The goal of the cloud is to reduce the time it takes to get an idea, bug fix or security update live. A surprising new challenge appears with this level of agility: knowing who did what for collaboration, management and security purposes. 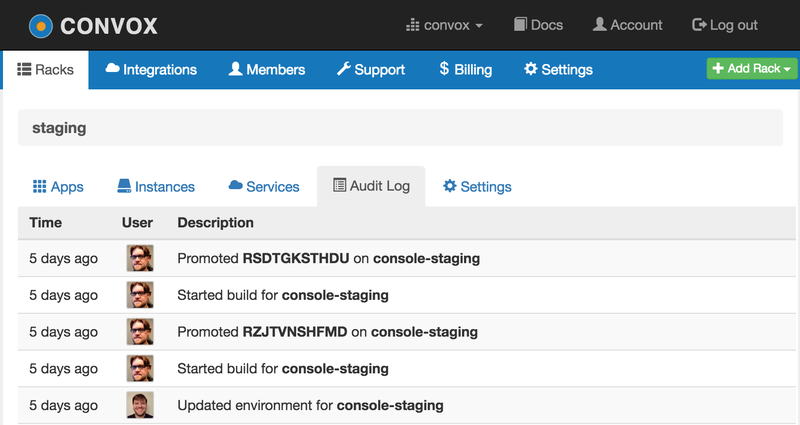 We just launched the Convox Audit Log to help. On many systems, SSH and database access is hidden deep inside logs stuck on the servers. 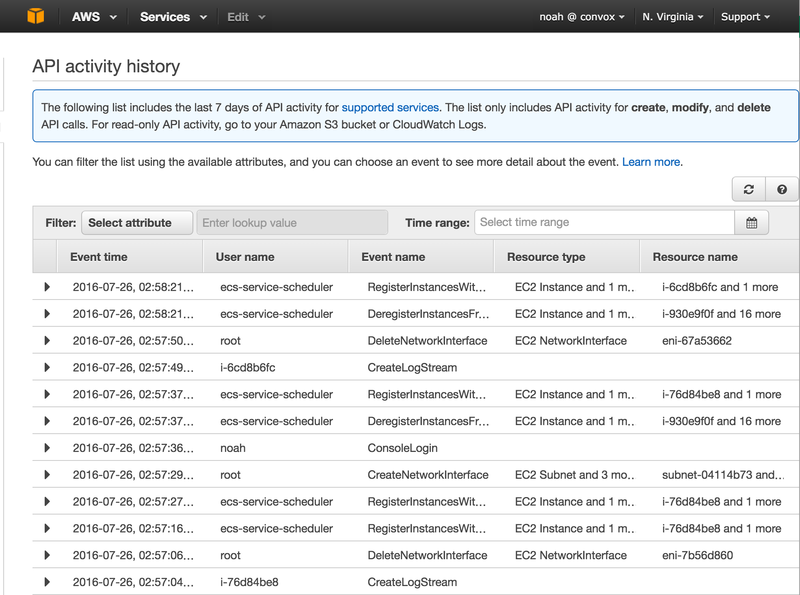 On AWS, resource access is buried deep inside the raw AWS CloudTrail events. Most teams simply ignore this information and don’t have visibility into who does what. Convox solves this by giving your team a single API to access and update resources and recording the most sensitive API calls. The raw logs and trails are still there, you just won’t need to use them any more. You can read the Audit Log Docs to learn more about how it works. Are there still things your team is doing that you wish you had more visibility into? Have you tamed this problem in other ways? We’d love to learn more about your problems and solutions and get your feedback on the Audit Log on Slack or GitHub. You can also sign up for the newsletter for more announcements.